Here, you'll find the real South Seas' experience -- a casual, barefoot existence amidst white sand beaches and multi-hued lagoons surrounded by jagged mountains and volcanic spires that reach into the clouds, while below, valleys are blanketed with the colors that one only finds when tropical climates and rich, volcanic soils meet. The most beautiful if all ports of call. Travelled by small boat to not islet and spent the day at the beach and swimming with stingrays. 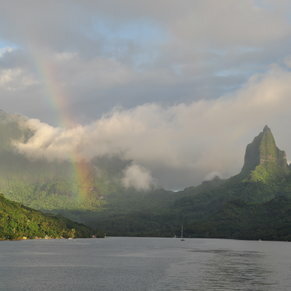 Although each island was special in its own way we really loved Moorea. The people were great and we took a (non-Oceania) jet ski excursion. Cook's Bay and Opunohu Bay were very brown due to the storm water run-off but we also had newly formed waterfalls. Outside the bays our water was so gorgeous. We swam with stingrays and sharks. Magic! English widely spoken. My favorite port of the whole trip. This was our first time there. No excursion. 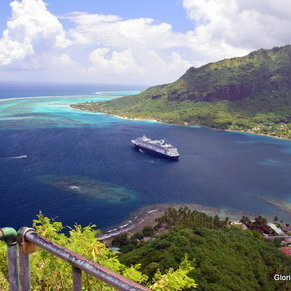 I think our ship's passengers more than doubled the population of Moorea. We visited the vendors and they were extremely friendly. We spent the better part of our day sitting under a palm tree enjoying the music and dancing performed by what looked like one big happy family. We did an eBike tour that was photographically breath taking; again, bring your mosquito repellant (or get Vit. B12 shots before you go on vacation). These islands remind me of how Hawaii must have been 50 years ago with them being mostly uncommercialized and true Polynesian hospitality. 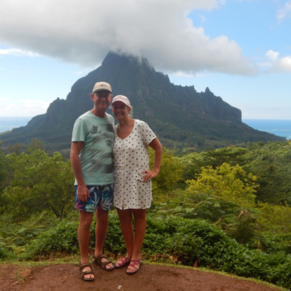 3 of 7 shore excursions in Moorea, French Polynesia. 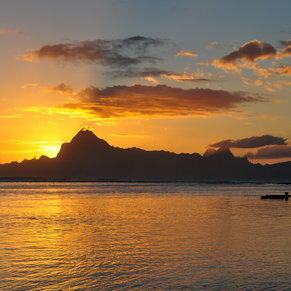 There are currently 4 discussions about Moorea, French Polynesia.